Are you considering installing new windows in your home? If so, you may find yourself wondering which type of windows will be best for your home: vinyl or aluminum. The process of deciding which type of replacement windows are the best option for your home can certainly be challenging. Educating yourself about both the pros and cons of vinyl versus aluminum windows can help you to make a more informed purchasing decision. Aluminum windows are often the preferred choice in industrial environments, but they are also commonly used in homes, as well. In determining whether aluminum replacement windows are the right choice for your home, it is important to consider that aluminum windows do tend to provide excellent noise reduction. If you happen to live in an area where noise might be a problem, aluminum windows can be a good choice. In addition, aluminum windows can also be painted easily to match your home’s color scheme. Therefore, if you are looking for windows that can complement the look of your home, aluminum windows might be the right option. While aluminum windows do provide some obvious benefits, there are also disadvantages that should be considered, as well. For instance, aluminum windows are known to corrode when they are exposed to moisture on a continual basis. Furthermore, aluminum windows are typically not as energy efficient as other types of windows, including vinyl replacement windows. Vinyl replacement windows have become increasingly popular in homes over the past few years. Among the many reasons that vinyl replacement windows are such a popular choice is the fact that they never need to be painted. Additionally, vinyl windows typically require very little maintenance. 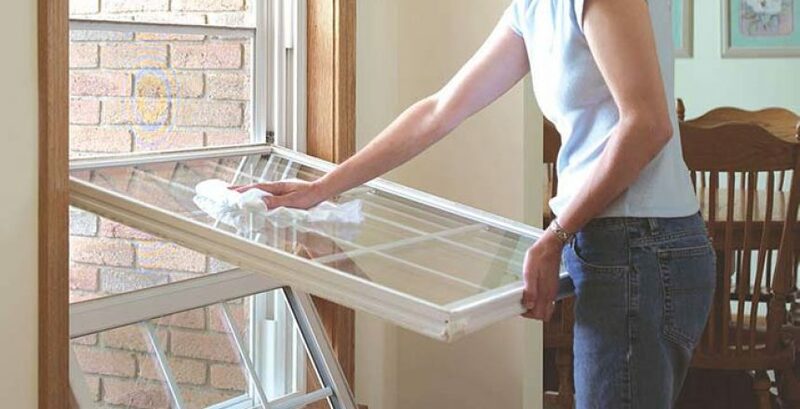 In fact, vinyl windows usually only need a gentle cleaning from time to time. If you are looking for an energy efficient replacement window option, vinyl windows typically win out over other choices, including aluminum windows. This is because the rate of heat transfer tends to be far less in vinyl windows than in aluminum windows. Unlike aluminum windows, vinyl replacement windows will not corrode. They also will not flake or rust. The only possible problem that vinyl windows might experience over a long period of time is a slight fading of color when exposed to continual exposure to the sun. Otherwise, vinyl windows are quite durable and will stand up quite well for many years. Vinyl windows also come with a lengthy warranty that can give you increased peace of mind regarding your investment. Replacing the windows in your home is certainly a big decision and is not one that should be made lightly. It is important to not only consider the type of window that will look the most aesthetically pleasing in your home but that will also provide you with the most return on investment. Understanding all of the various advantages and disadvantages of vinyl versus aluminum replacement windows can help you to choose the window that is right for your sense of style and budget.